Portland, ME. Mary Smith Woodman MacMinn, 95, died August 27, 2017 at Cedars nursing facility. Mary was born on August 27, 1922 in West Buxton, ME. She was the daughter of Fred and Abby Smith. Mary attended local schools and was graduated from Buxton High School. She was employed at Owen Moore department store in Portland as a fashion designer and sales coordinator. 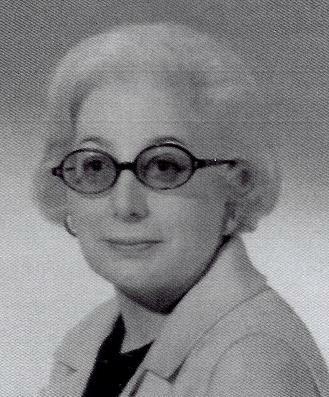 Mary moved to New York City and was employed at Munsingwear Hosiery Co. as Vice President of Sales. She enjoyed arts and crafts. One of her hobbies was interior decorating. Her later years were spent at her home at Higgins Beach in the summer and Florida in the winter. She was preceded by her first husband, Sumner Woodman of Bar Mills, and her baby daughter Susan, as well as her parents, sisters, Helen Dean, Louise Leavitt, Sarah Smith Huff Johnson, and brother Philip Smith. As per her request, Mary will be cremated and her ashes will be scattered near her childhood home in Buxton and the family plot in Hollis.